When people think of Salt Spring Island, they typically conjure up images of a cottage industries; artisans; cheeses, wines, and other quality foods; great B&Bs; and a bustling little retail sector. So, it was surprising to hear that Salt Spring’s tech jobs have more than tripled within the last year. And most of those jobs have been created at one company―InDro Robotics. 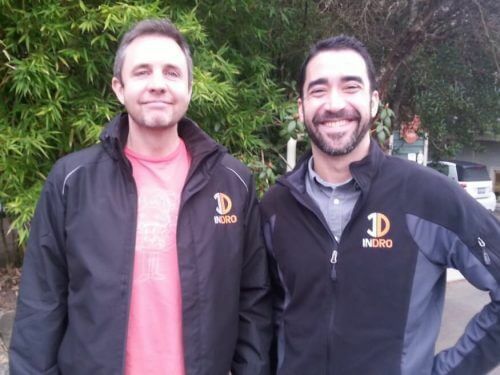 Founded by Philip Reece in 2013, InDro Robotics creates unmanned aerial and surface vehicles and provides related services and supports to clients and partners on Salt Spring and around the world. Currently, InDro Robotics is inconspicuously housed in the Merchant Mews. You might never know that while you’re buying meat pies at Jana’s Bakery, a 12-member staff is designing, fabricating, building, and developing drones and other unmanned vehicles right next door. But a couple of weeks ago, InDro advertised that it wants to rent a new office and work space. Could it be growing? On its website, the “Join Our Team!” button is top right and prominent. And, yes, InDro is inviting anyone with previous UAV piloting, robotics engineering (mechatronics and/or software), remote sensing, or GIS experience to contact the office. And InDro is currently looking for a software engineer. Curious about the move and the business’s growth, I called for an interview. I met with Geoff Mullins, PhD, who is one of InDro’s systems engineers. He attributes company growth to taking advantage of opportunities and expanding into new areas. For example, last April, InDro didn’t have a marine robotics division and now three to four people work on autonomous surface vessels. Although Salt Spring is the main office, employment opportunities also open up offsite and in the company’s other office in Calgary.